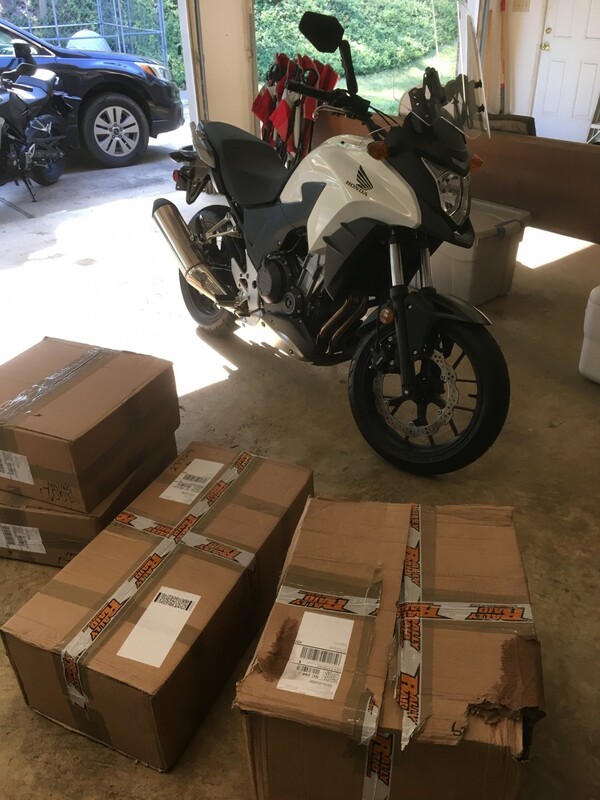 Just Received My Rally Raid Level 2 Kit! 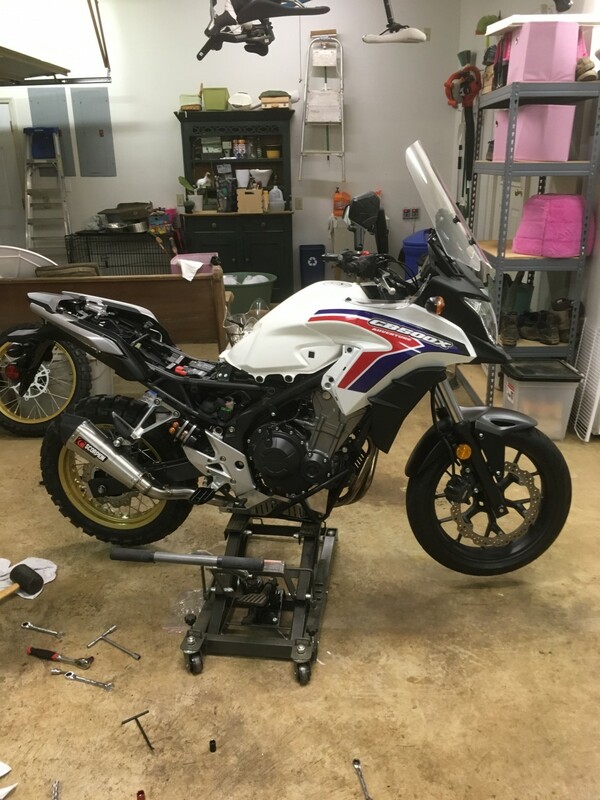 Re: Just Received My Rally Raid Level 2 Kit! Look forward to watching this space! OK so today I started putting everything on the bike starting with the RR bash guard. I was glad I had watched several videos of the process and it saved me a lot of headaches. I put ratchet straps from the rear pillion mounts to the front engine mounts so they wouldn't spring out and that worked great. 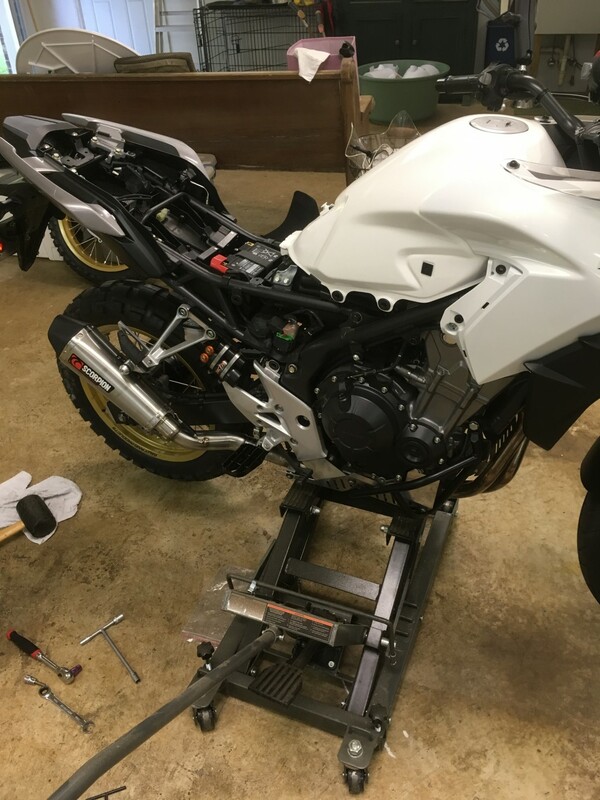 I had to use a large clamp between the left footpeg and the front of the RR bash guard to squeeze it into lining up properly but it worked like a charm and the guard went on without a hitch. Then got the shock and linkage changed out, mounted the new rear wheel, put on the RR pegs, and the new tank graphics. I plan to tackle the front end in the next few days. Will post updates. Ahhh, a heritage replica! Nice! I went with gold wheels too. They're a bit bling, but I think they look ace. Keep the pics coming! I appreciate the photos. Thanks for posting. Has anyone come up with a solution to the situation that arises when the rear wheel is removed and the chain adjusters fall out? It is REALLY annoying when you are trying to get the axle back in and the adjusters won't stay put. 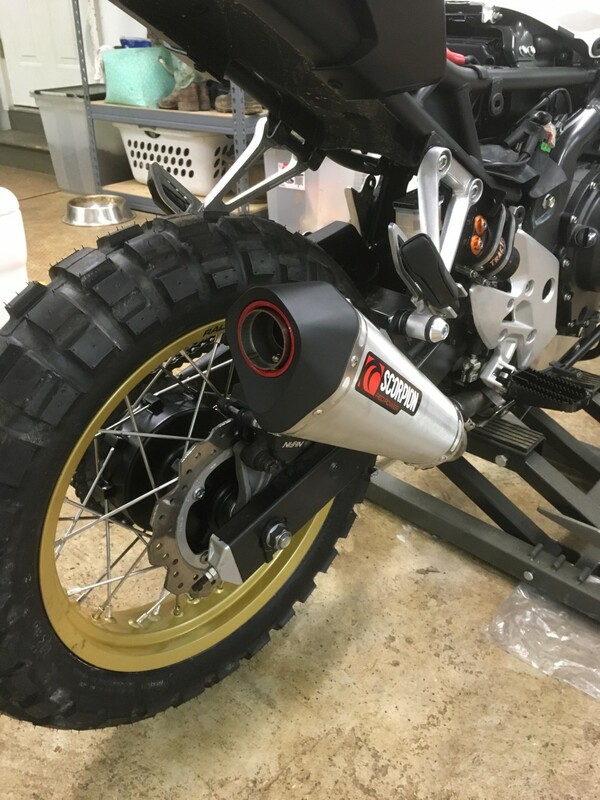 There must be a simple way to keep them in the swingarm tubes. Any suggestions? put the wheel on a couple of 2x4s and adjust the scissor jack to where you can see straight through the swing arm holes and the axle hole of the wheel's hub (everything is lined up). Feed the axle through the swing arm with your left hand and with your right hand hold the other adjuster in place. Another option would be to let the adjusters all of the way out so the sliders are deeper into the swimgarm. Final option would be to take some blue painters tape and tack the end caps down for a sec.